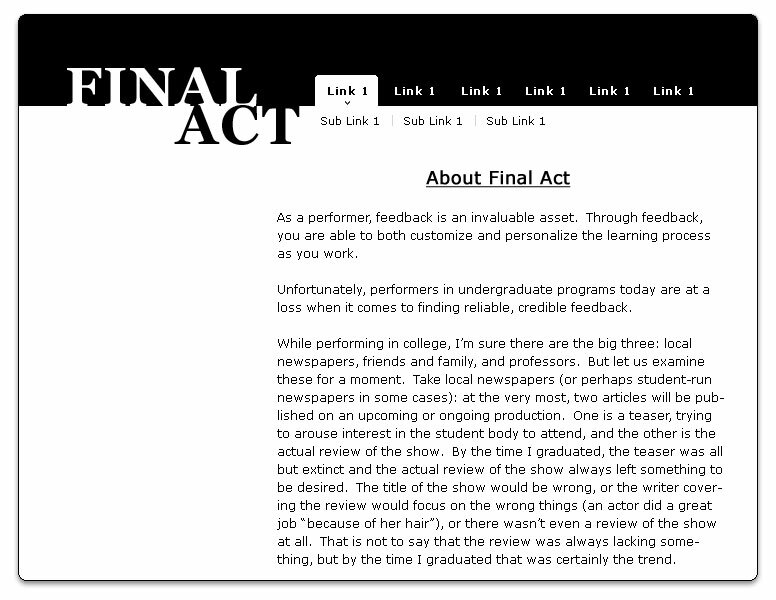 Final Act was a pro-bono project I began for a friend who was attempting start an online business. The project didn't take flight, but an initial design was produced. The intent behind the project was to allow college/university theatre students to submit scripts for various plays online for collaboration, and to give those theatre students opportunities to enhance their resumes.